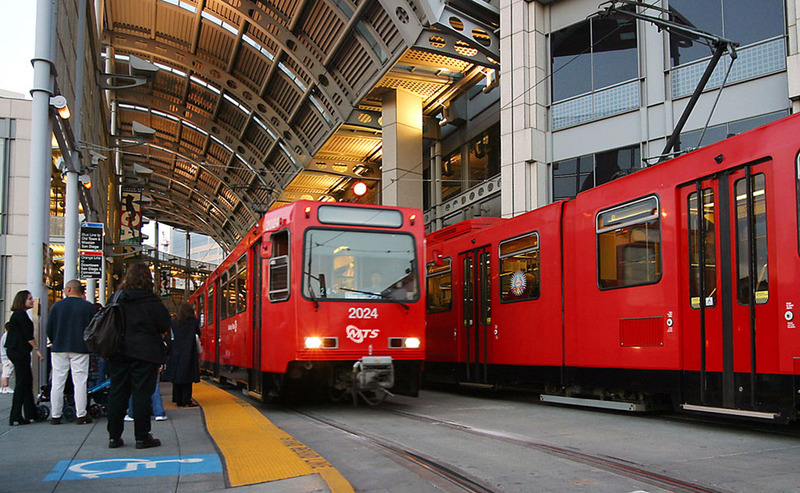 The Metropolitan Transit System logged an all-time high of 95 million passenger trips, driven by a big jump in use of the San Diego Trolley in the last year, offiials said. The 95,010,550 trips was an 11.5 percent increase over 2012-13 and topped the old record of 91,641,508, set three years ago, according to the MTS. The agency cited realigned routes, new trolley cars, an improving economy and high gas prices as reasons for the increased use of public transit. The MTS also installed automated passenger counters in its trolleys for a more accurate tally. The trips were recorded during the fiscal year that ended June 30. Buses logged 55.3 million passenger trips during the fiscal year. That total was down 1 percent. The MTS cited construction along some major routes as the cause. But the dip on buses was more than offset by larger numbers of trolley riders. More than 39.7 million trolley trips were taken during the fiscal year, a jump of around 10 million, according to the MTS. Large increases were seen on the Green Line, with a 42 percent jump in ridership between downtown San Diego and Santee, and the Orange Line, with a 31 percent rise in trips between downtown San Diego and El Cajon. The Blue Line, which runs between Old Town and Tijuana, carried the most passengers, with 15.1 million trips.